A pattern of engraved flowers encircle this estate engraved platinum wedding band. This narrow wedding band has simple delicate flowers engraved on the circumference. 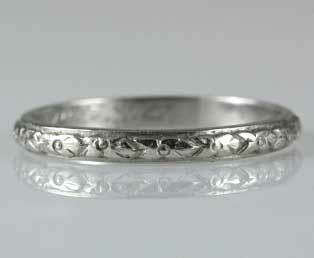 A tender initial inscription is found engraved into the interior of this 1920s platinum wedding ring.